Our second installment of repurposing unused bikes has another go at it tomorrow night, Wednesday April 22nd at The Red Hot. It’s a Giant Cruiser bike, ridden like 6 TIMES. Orange in color, new tubes, a large Topeak rear basket to carry a fresh supply of craft beer with you on the go, a “I HEART my bike” bike bell, and a New Belgium head tube badge. Solid. We won’t be accepting entries tomorrow the day of, but you can enter tonight ($2 Tuesday!!!). 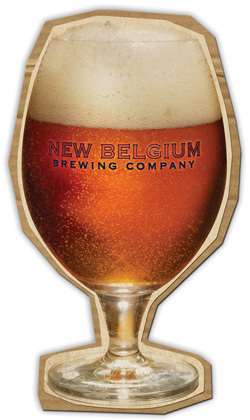 Tomorrow we’ll also be doing a keep-the-glassware from New Belgium with their beers on tap, while they last. We’ll have a new bike up in the window in a week or two to be given away at reCYCLE The Bike Night #3 at the end of June!!! p.s.- for all you regulars, a new Gauntlet Champion has risen!!!! 25 minutes, 30 seconds!!!!!! Congrats to Stadium District’s Jeff Lee!!!!! !